Enter today and every day this month for a chance to win one of 20 must-have hand tool prize packages. Handy homeowners know that there are some indispensable tools that no well-equipped home workshop can do without. That’s why we’ve teamed up with Bosch to bring you an exciting $4,000 Total Toolkit Giveaway, in which 20 winners will take home their choice of one of five prize packages filled with some of the most innovative and advanced hand tool technology on the market. For more than 100 years, Bosch has been committed to making consumers’ lives safer, more efficient and more comfortable through its tools and services. Bosch creates innovative professional-grade power tools known for their speed, precision, and durability, all of which allow the operator to achieve great work results. Specializing in the most lightweight and compact tools, Bosch 12V Max tools are designed for easy use while still packing enough power for the job. Bosch never stops trying to improve on past success: Each year, the company launches more than 100 new power tools into the global market. 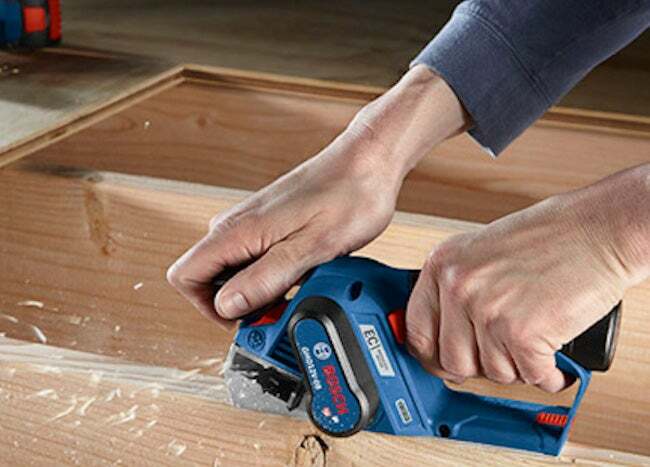 To learn more about Bosch and their innovative hand tools, click here. Bosch 12V Max Flexiclick® 5-In-1 Drill/Driver System: Designed for users who want a high-quality tool that redefines their limits to get the tough jobs done, the Flexiclick weighs only 1.4 pounds—but delivers 265 inch-pounds of torque for maximum performance with minimal size. The Flexiclick has two speed settings for quick jobs and precision work, and comes with four attachments: locking bit holder; keyless chuck; offset angle; and right angle. Bosch GHO12V-08N 12V Max Planer plus 12V Max Lithium-Ion Battery and Charger Starter Kit: Engineered for power as well as convenience, this compact cordless planer features an efficient EC brushless motor that delivers professional results in a small size. The tool is designed to provide the easiest planing experience for fast stock removal and smooth finishes and, because it is cordless, is ideal for jobs that require a lot of movement, like trimming doors. Bosch GKF12V-25N 12V Max Palm Edge Router plus 12V Max Lithium-Ion Battery and Charger Starter Kit: Cordless freedom and a unique offset design makes this router the ideal choice for edge routing and trimming. The cordless router features an easy-change spindle lock, fast macro depth adjustment, and easy fine depth adjustment at 0.04 inch per revolution of the dial. Bosch GOP12V-28N 1 V Max Starlock® Oscillating Multi-Tool plus 12V Max Lithium-Ion Battery and Charger Starter Kit: Featuring the Starlock® next-generation 3-D tool-accessory interface, this compact and ergonomic multitool delivers powerful torque transfer. The efficient 12V Max EC brushless motor delivers a top speed of up to 20,000 oscillations per minute, with great runtime. The tool has a 2.8° oscillating arc for outstanding productivity, and a variable-speed dial allows the user to set the optimal speed for the task at hand. Bosch GCL 2-160 Self-Leveling Cross-Line Laser with Plumb Points: Keep everything “on the level” with this versatile leveling laser. With a visible range of 65 feet and VisiMax™ technology, which monitors power consumption to maximize line visibility and extend battery life, this level has an accuracy of up to ±4°. The kit includes a hard carrying case for easy storage and transport. Enter Bob Vila’s $4,000 Total Toolkit Giveaway daily to increase your chances of winning one of these amazing packages. “Bob Vila’s $4,000 Total Toolkit Giveaway with Bosch” is open only to permanent legal U.S. residents of the 50 contiguous states and the District of Columbia. Void in all other geographic locations. No purchase necessary. Void where prohibited. Contest Period for Prize runs from 12:00 p.m. (EST) Sunday, March 31, 2019 through 11:59 a.m. (EST) Tuesday, April 30, 2019. One entry per household per day on BobVila.com. Alternative means of entry for Drawing is available by faxing your name and address to 508-437-8486 during the applicable Entry Period. Odds of winning depend on the number of eligible entries received. See Official Rules.